Stunt Rally as the name suggest is a rally game for Linux with 49 tracks in 6 scenarios, 7 cars and a track editor. The game focuses on closed rally tracks with possible stunt elements - jumps, loops, pipes etc. 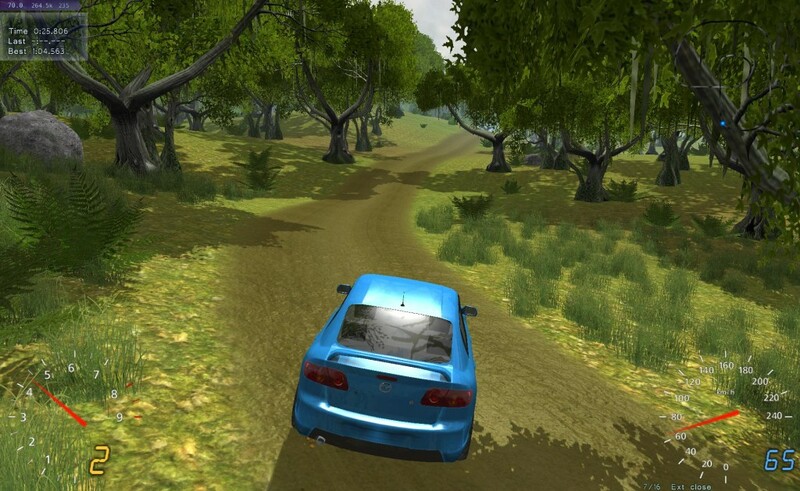 Car simulation is done by VDrift while all the game rendering has been done by Ogre3D Engine. If you get any dependencies issues then completely remove any ogre engine libraries from repositories and reinstall the game.